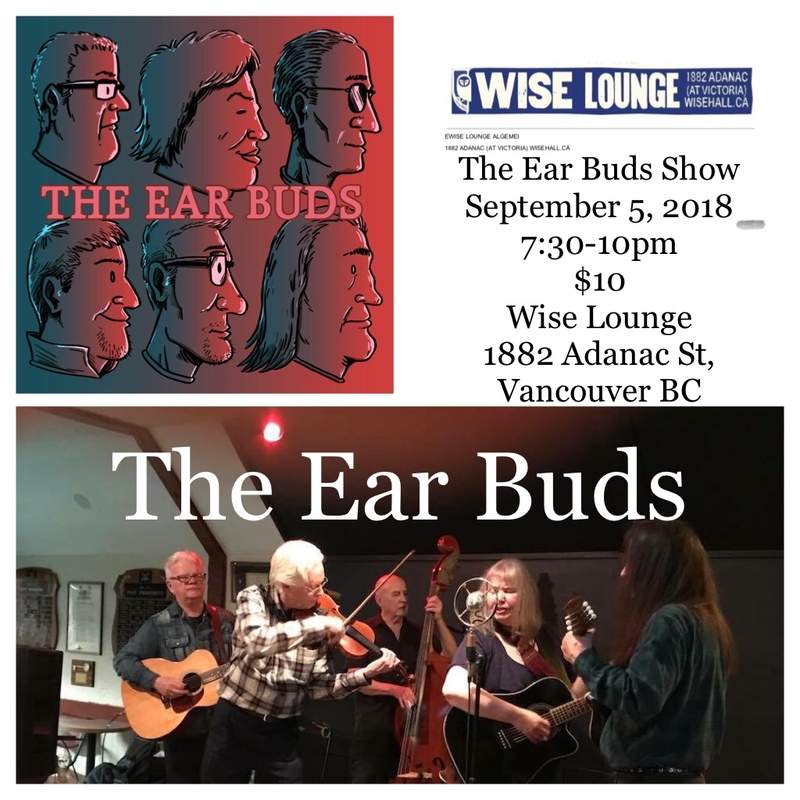 Come out to see The Ear Buds at the Wise Lounge, Wednesday evening September 5, 2018, 7:30-10pm. We are a local string band that plays roots music…some original, country, bluegrass, blues, folk and a little rock’n’roll. There will be a nominal $10 charge for non-members. The event is free or by donation for club members. We’d love  to play for you. 1882 Adanac, Vancouver BC.